It’s been a while since I shared a DIY project (almost 2 weeks!) and since you know that I can’t live without making things – here comes a new idea. 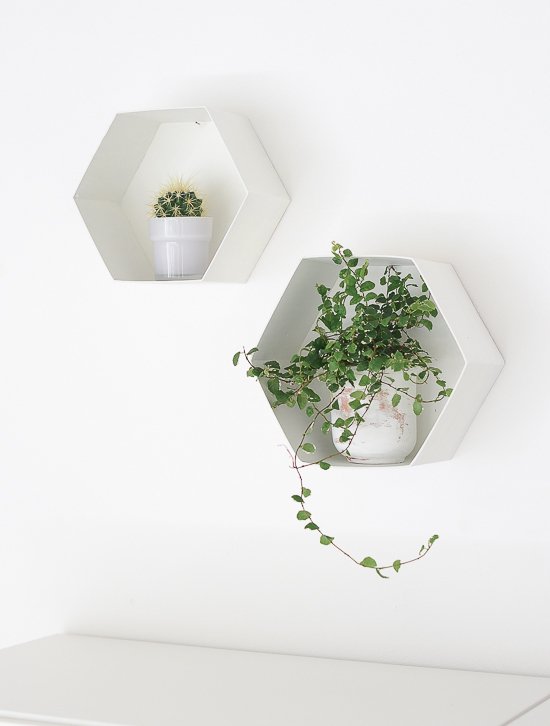 An eco-friendly, light version of the popular Hexagon Wall Shelves! Say whaaat? Anyone can guess what they are made of? 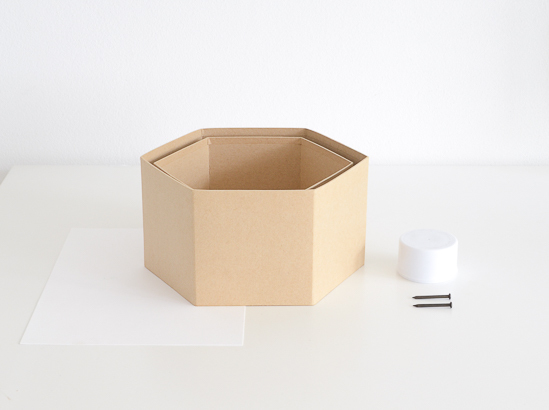 If you thought – cardboard (did you really?) you were right! While walking through my local hardware store, making weekly DIY shopping I spotted cardboard boxes, in the gift section. 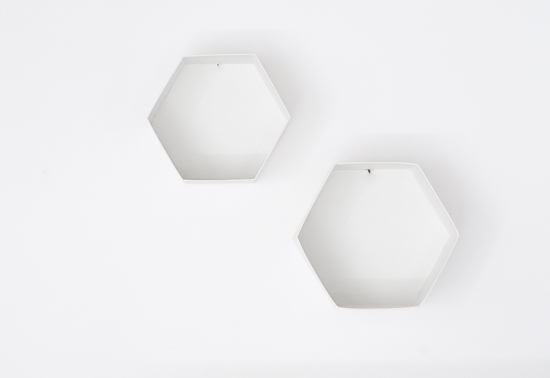 I’ve been wanting to make hexagon shelves for a while, but if you consider making them out of wood, it’s not an easy, make-at-home kind of projects, as it requires a laser wood-cutting machine. 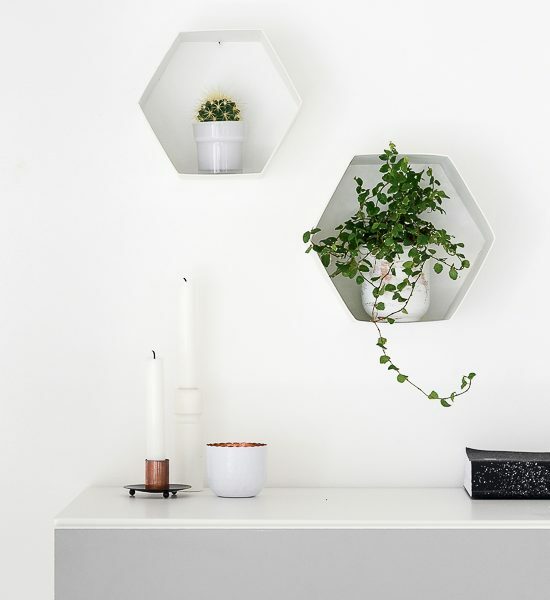 I guess I can say, for all of us wanting to create geometric shelves I found an alternative to try! That’s all! Spray paint the boxes (a couple of layers, I did 3), wait for them to dry. Then using a nail and a hammer make a little holes at the back to hang them on the wall. Also I just realized that all the items above are DIYable! Erm…it’s becoming a serious addiction. 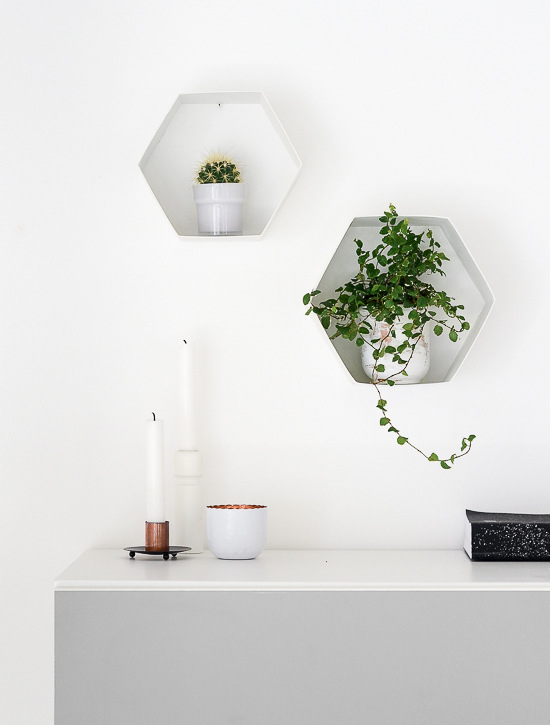 To see how I made wooden candle holders from furniture legs, metal candle holders or a peeling-paint effect plant pot from the photo above follow the links. And I am off to work on some new ideas for you. 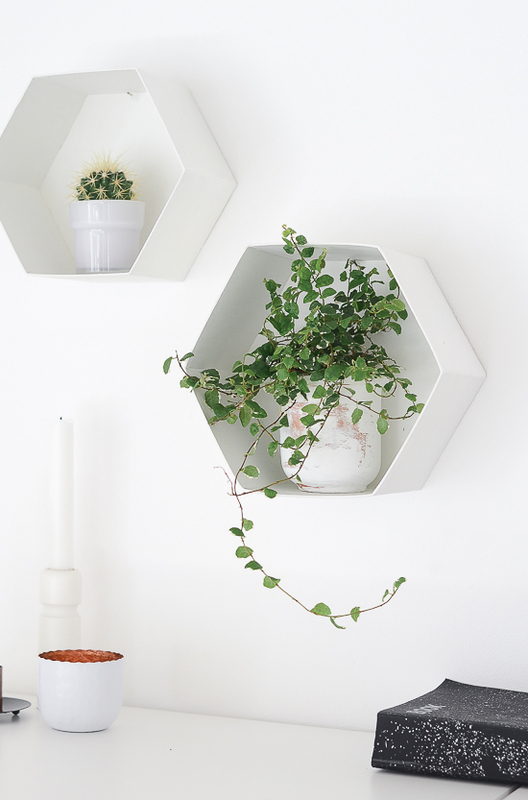 Handmade Home by Loom + Klim and Giveaway Winner!